Subaru of America, Inc. announced today that it will make another record attempt on the Isle of Man TT Course with rally driver Mark Higgins. 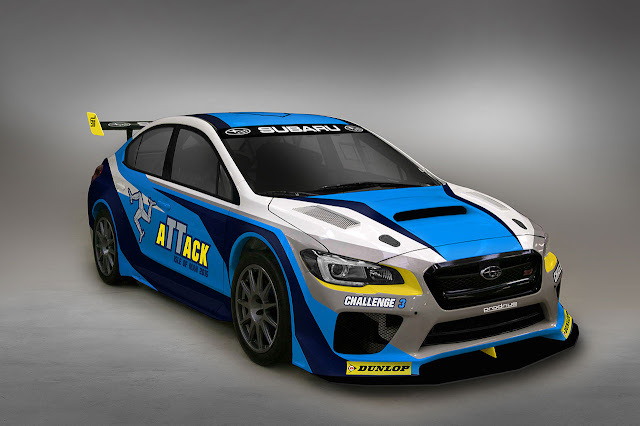 Higgins will drive an all-new 2016 Subaru WRX STI time attack car that was jointly developed by Subaru of America, Inc., and Prodrive, with technical assistance provided by Subaru Tecnica International (STI). The new car is purpose built for the Isle of Man TT Course. For 2016, Subaru of America decided to create a purpose built car that could tackle the arduous TT Course, which is similar in style to both the Nürburgring Nordschleife and Le Mans in the demands it puts on suspension and engines. It called upon the joint expertise of Prodrive for the design and build, and Subaru Technica International for technical assistance. Both have an extensive history in building and designing winning cars. Prodrive and Subaru have won three World Rally Championship Manufacturer titles together and three World Rally Championship driver titles. Prodrive also has experience running team Aston Martin in the FIA World Endurance Championship and Le Mans 24-Hour race. STI has experience designing great road course cars, designing the class-winning 2015 Nürburgring 24-Hour Race winner. In 2014, Subaru broke its own previous lap record around the fabled 37-mile course, with an average lap speed of 117.51mph and a time of 19 minutes and 15 seconds. The previous record of 115.36mph was set in 2011 in a WRX STI.